Asia’s 50 Best Restaurants, sponsored by S.Pellegrino & Acqua Panna and organised by William Reed Business Media,announced the first ever list and individual award winners at a glittering awards ceremony at Marina Bay Sands, Singapore. Nihonbashi in Colombo, Sri Lanka, is celebrating its success after being awarded The S.Pellegrino Best Restaurant in Sri Lanka, ranked at no. 38 on the list. The brainchild of chef restaurateur Dharshan Munidasa, Nihonbashi brings a tranquil slice of Japan to Colombo. Largely self-taught, Munidasa shares a common heritage through his Japanese mother and Sri Lankan father and learnt most of his skills by watching his Japanese aunts cook home-style dishes. Asia’s 50 Best Restaurants sponsored by S.Pellegrino & Acqua Panna Asia’s 50 Best Restaurants provides a credible and trusted list that is dedicated to the restaurant industry in Asia and voted for by peers and luminaries in the culinary profession. The results of the awards and Asia’s 50 Best Restaurants list is available at www.theworlds50best.asia. 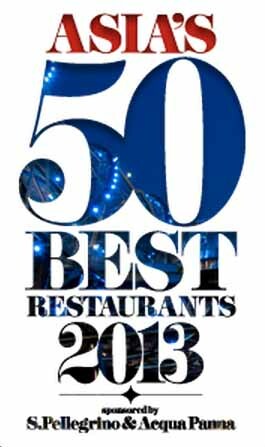 There will be a standalone Asia’s 50 Best Restaurants guide available from 26 February.